Glenn Harte has had all the symptoms you do and maybe more. As an actual patient and not a doctor, he sees the complexities of prostate symptoms through your eyes. 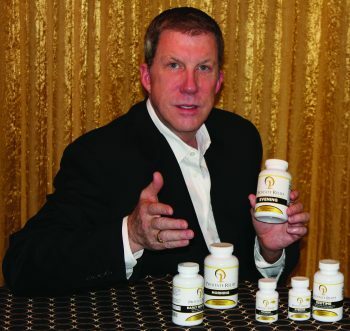 Having tried all of the medications the doctors could prescribe and investigating several surgeries, Glenn discovered a clear connection between the health of the colon, the bladder and the prostate. Through specific supplementation, a healthy environment for the colon, the bladder and the prostate can reduce overall prostate symptoms in a significant way. Glenn calls these three organs the “Trilogy” organs. 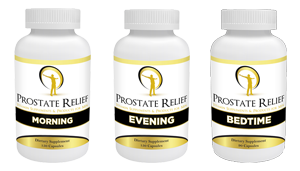 Each of the products of PROSTATE RELIEF address the Trilogy organs. For some, the early stage product called EARLY RESPONSE is enough. For others who have more significant symptoms or who have tried other supplements without satisfactory success, the program of MORNING & EVENING will kick up the attack against inflammation, bacteria, prostate and bladder function and even support the colon. You will see the difference very quickly. BEDTIME is for those with occasional constipation, gas & hemorrhoids. You should have daily elimination and twice is better. If you don’t, you are constipated. You will never have a healthy prostate with an unhealthy colon. BEDTIME is for you. Even if you are regular, you should use Bedtime occasionally to help remove plaque from your colon and to help cleanse your colon.